Masik Durgashtami Vrat is marked with a customary puja to Mother Durga as per the injunctions given in the sacred scriptures. 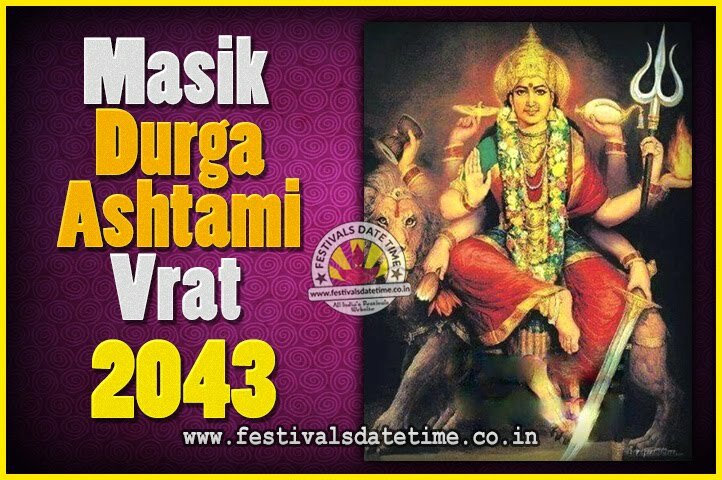 Dedicated to heralding Maa Durga, masik Durgashtami is marked by a daylong worship of Ma Durga on the Shuklapaksha ashtami with pujas and vrat concluding in the evening. Masik Durgashtami Vrat is observed month on month on the Ashtami Tithi of Shukla Paksha. The puja is repeated once again in the evening and then the fast is concluded after sunset. This is one of the most popular kinds of vrats observed in the Hindu tradition which is believed to bestow the ultimate blessings of Mother Durga. The observer of the vrat should take flowers in both the hands and offer at the idol of Mother Durga while chanting the divine names of Mother Gauri. The day long fast is completed invoking the blessings of Mother Durga.